The church was built in Roman style between 1500 and 1520 with 5 meter thick and 12 meter high walls. 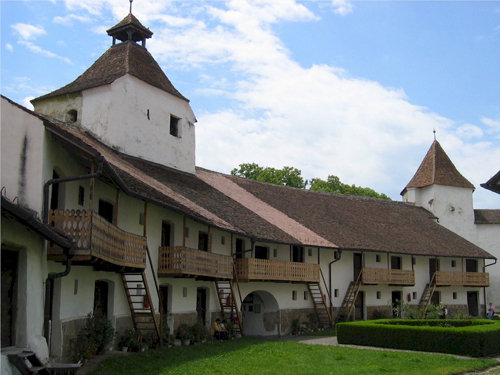 Harman Fortified Church has an inner church that was erected in Roman style by the Cistercian monks between 1280 and 1290 and was later rebuilt in Gothic style. A strong peasant citadel was built around the church between 1500 and 1520. A few Roman column capitals were kept inside the church, and some corbel pieces with carved grotesque heads were preserved in the vestry. There is also a funeral chapel with Gothic mural paintings (1460-1470), having the "Last Judgement" for a theme. 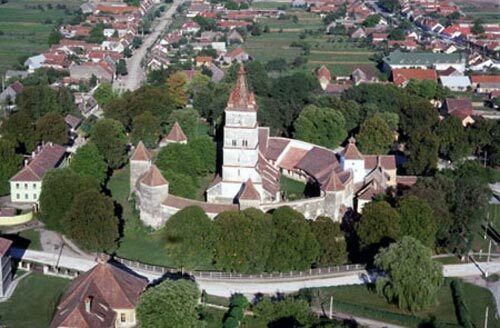 Prejmer Saxon Fortified Church is definitely the most impressive fortified church in Transylvania. The construction works began in 1427 and ended during the 16th century, making it one of the strongest churches in Transylvania at the time. The church had 14 meter high and 6 meter thick surrounding walls and it was protected by defence towers and a deep water ditch. 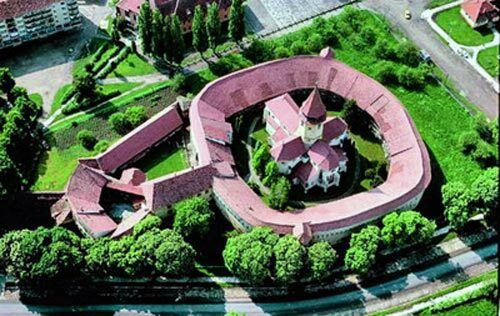 The fortifications and the church are nowadays in the UNESCO world patrimony. What's really interesting about this fortified church is that within the walls are 272 chambers, and each one is numbered exactly as the houses in the village.